The Seattle Seahawks will take a cue from San Francisco 49ers quarterback Colin Kaepernick at the team's season opener against the Miami dolphins today, when players are expected to engage in a "demonstration of unity" during the playing of the national anthem. Detroit Lions players are also expected to engage in a similar demonstration during the team's season opener in Indianapolis against the Colts. 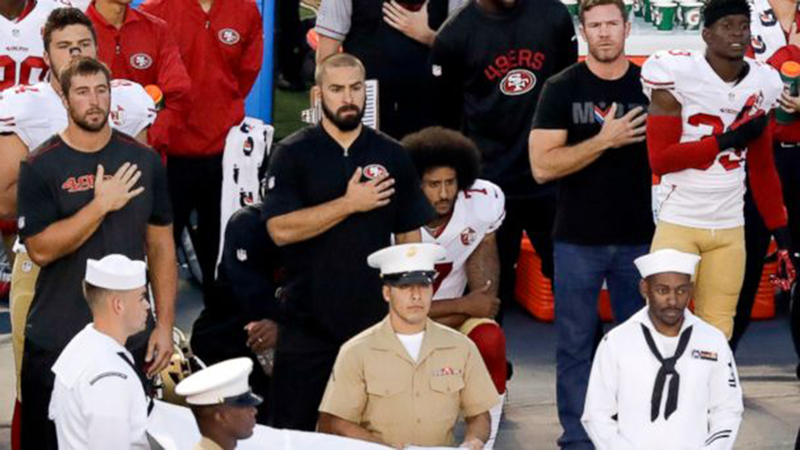 Opponents have slammed such protests as disrespectful towards veterans, the U.S. flag, and the country, in general. And given it's the 15th anniversary of the September 11 terrorist attacks, today's "demonstration of unity" has definitely struck a chord with critics. Case in point: On Friday morning, #boycottNFL began trending on Twitter in response to the growing number of critics.